Cd≥99.95% or 99.99% or 99.995%. Solid cadmium surface is dark grey, in rectangle trapezium. 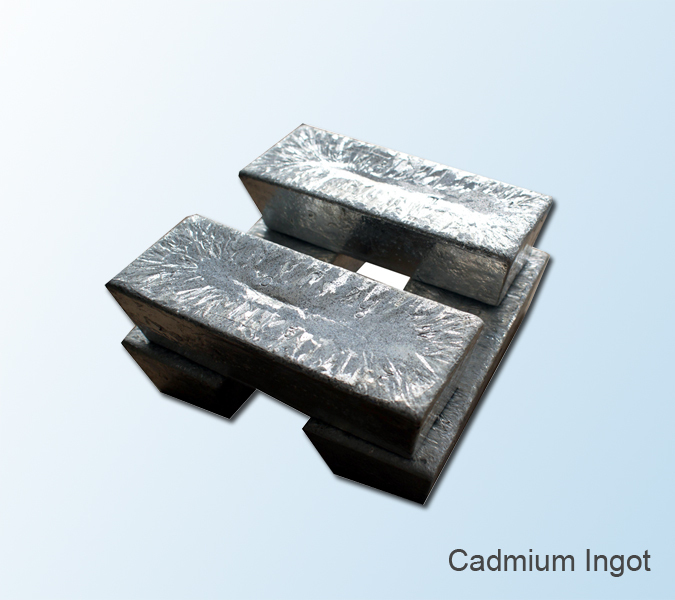 About 6~8 kgs per ingot, in wooden cases or pallets. Widely used in the industries of chemistry，metal alloy, galvanization, storage battery etc.